From the fabulous Take What You Need collection, update your bar necklace or bracelet with a Rock bar. 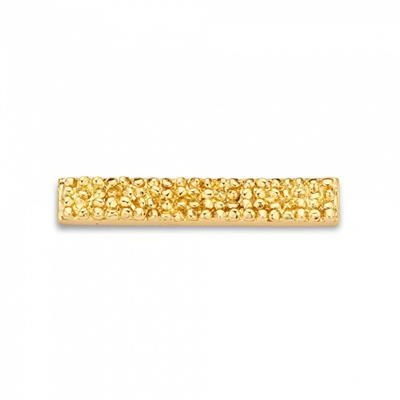 This textured bar inspired by gold nuggets has an eye catching design which catches the light beautifully. For anyone who loves a bit of luxe in their life. Take What You Need is an innovative interchangeable bar jewellery line from Dutch designer Mi Moneda. Adapted from the phrase Take what you need and give what you can," this collection is designed to inspire the wearer to make it their own.